Q 2: Let A = N x N and let * be a binary operation on A defined by (a,b)*(c,d) = (ac, bd). Show that (A,*) is associative. 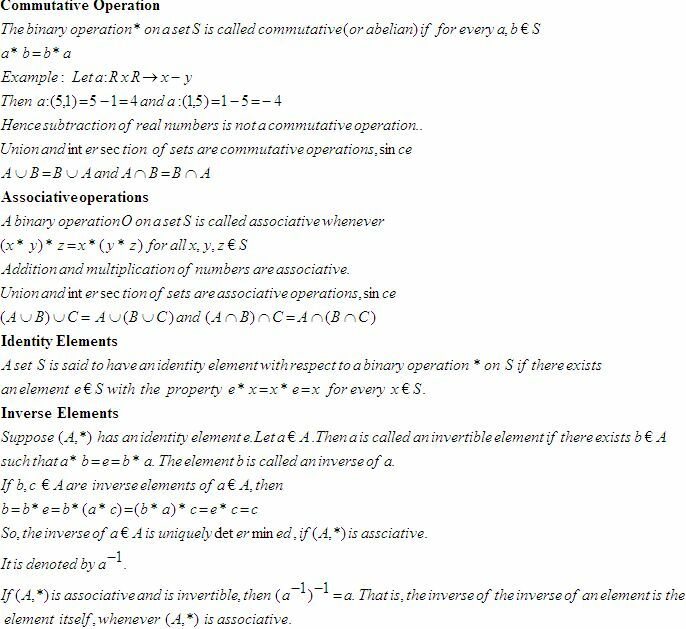 Q 4: For I = (-2,-1,0,1,2) and the binary operation of addition defined on I, ehat is the inverse of -2. 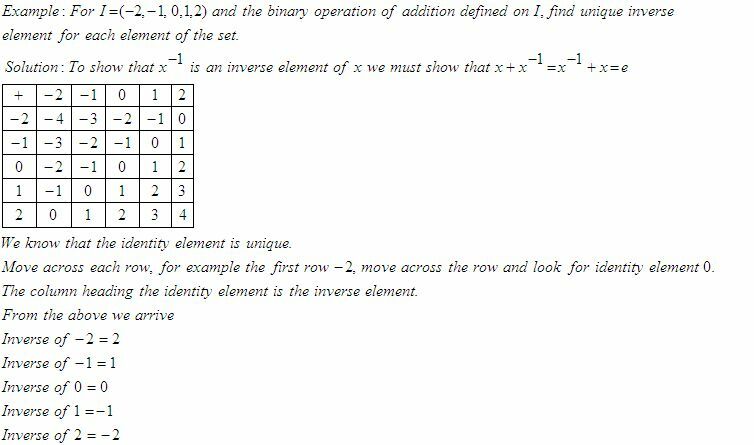 Q 5: Let * be a binary operation defined on Q. Check if a*b = a-b, for a,b € Q is associative. 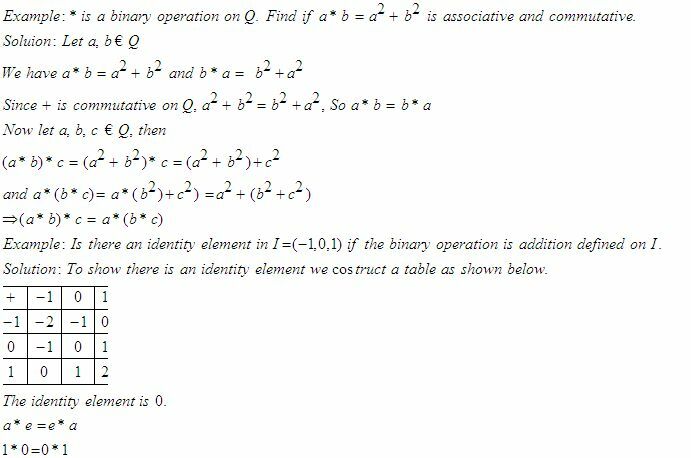 Q 7: Let * be a binary operation defined on Q. Check if a*b = a-b, for a,b € Q is commutative.